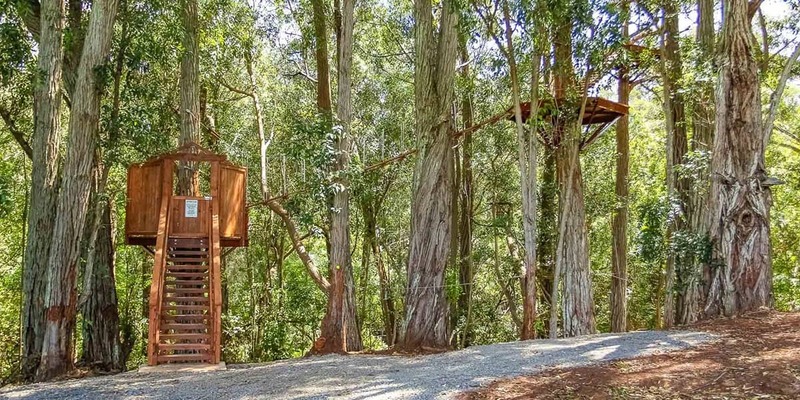 Join us for a canopy experience like no other. Perched amongst the trees of Halawa, Kohala Zipline’s Kohala Canopy Adventure features elevated suspension bridges, soaring tree platforms, and thrilling ziplines. It’s a zipline experience you’ll never forget. Dress Code: Guests must wear closed-toe walking shoes. Pants, capris, or knee length shorts, and a light sweatshirt or jacket are recommended. Age: Participants must be 8 years old. Strictly enforced. Restrictions: Physical – Must weigh between 70 and 270 lbs. Participants will be weighed at check-in. Must be able to walk over uneven terrain and handle one short climb. This tour is not for those with back or neck problems, expectant mothers, or those who are fearful of heights. 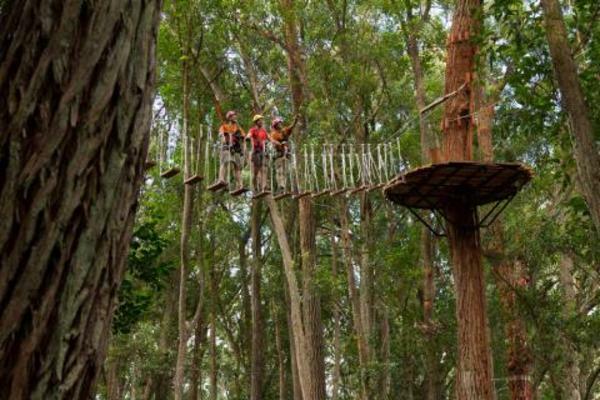 From the moment you enter the aerial trekking course, you’ll be enthralled by the magic of Kohala. Exclusive features, such as twin WhisperLines and smooth stop braking, ensure your safety and comfort and deliver an experience like no other. Whether you are a real zipline enthusiast or a first time adventure seeker, the Kohala Canopy Adventure will be an unforgettable experience. We’re in the trees about 90% of the time. We do have one short walk up about 25 stairs between lines 5 and 6. We have the best guide-to-guest ratio (1:4) on Hawaii Island. Guides take time to ensure everyone knows how to control their speed and direction, and our guides handle all of the line and element transfers. It’s the perfect activity for the experienced zipper or the first-time adventure seeker. What happens if I decide I don’t want to zip anymore? How do I get down? 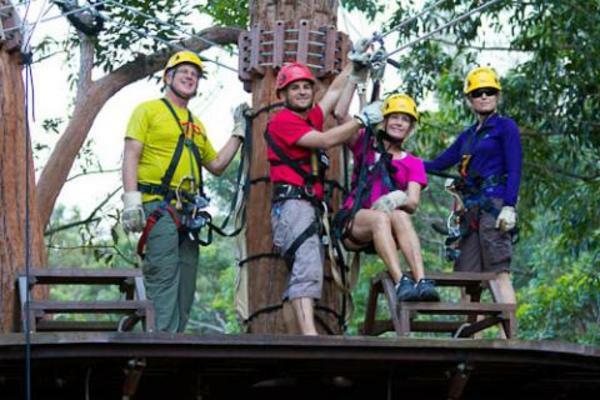 If you decide the Kohala Canopy Tour is not for you, there are opportunities to exit the course with the help of our guides. Yes. They are available about half-way through.